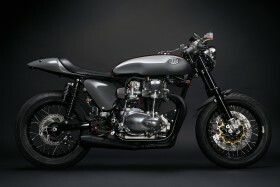 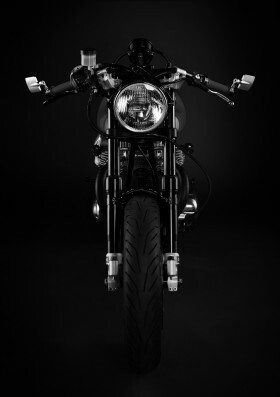 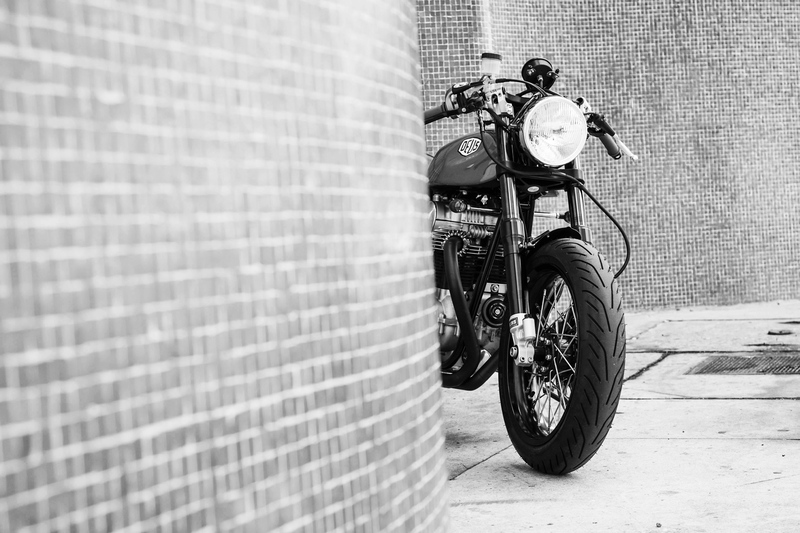 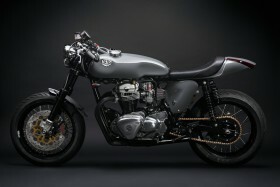 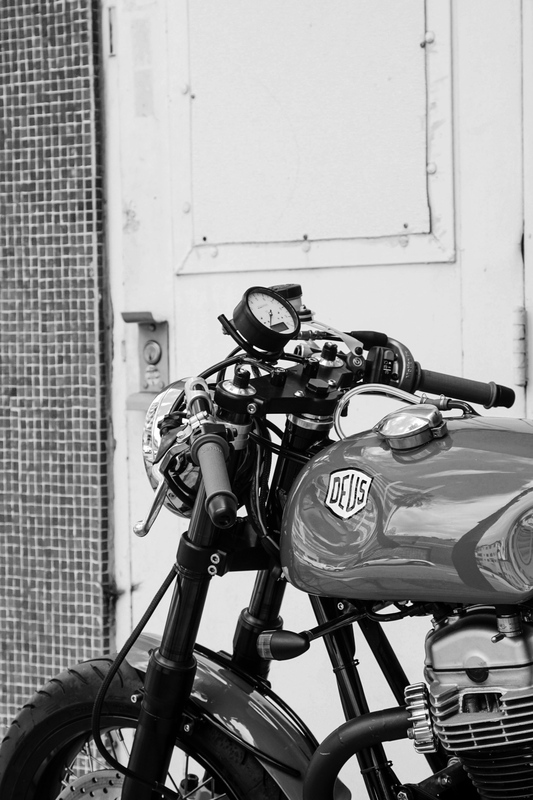 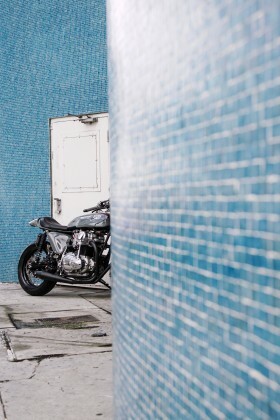 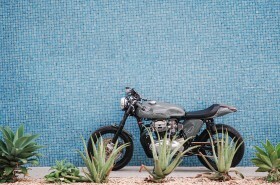 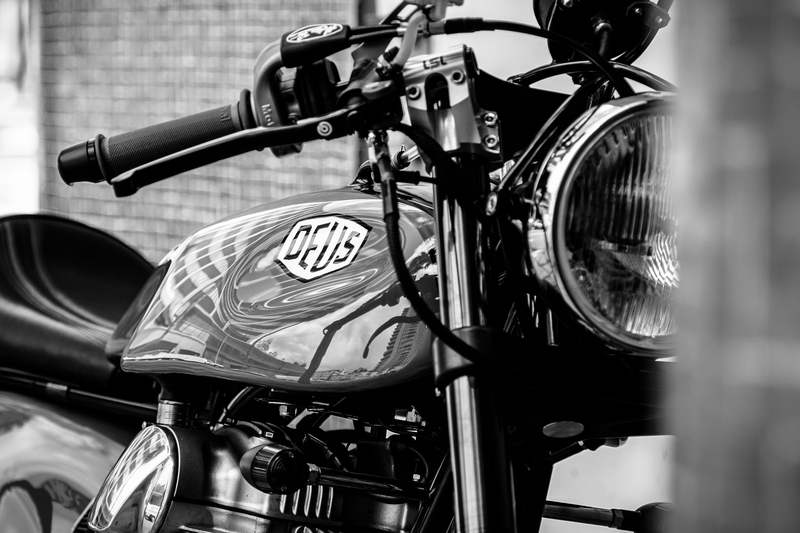 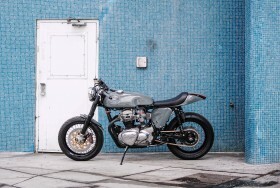 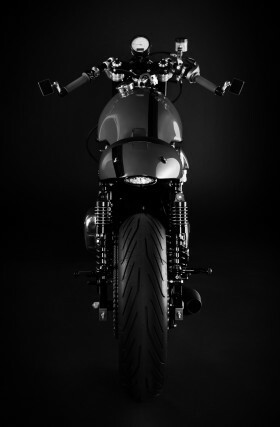 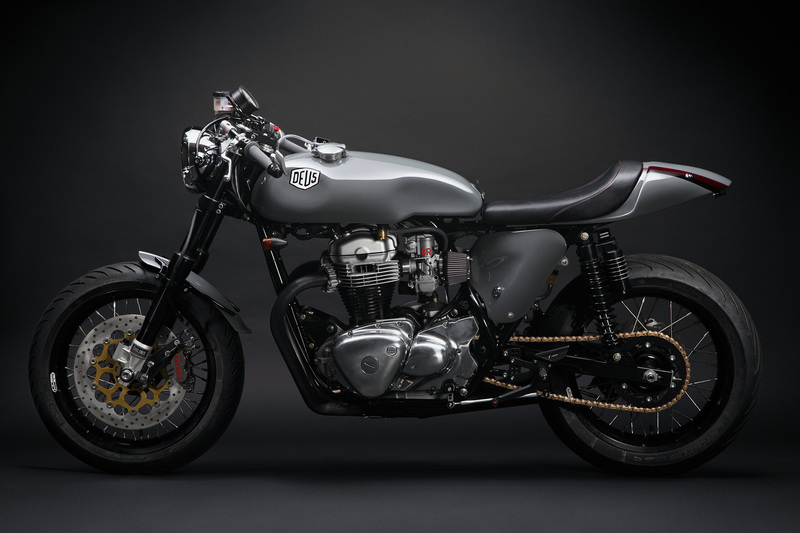 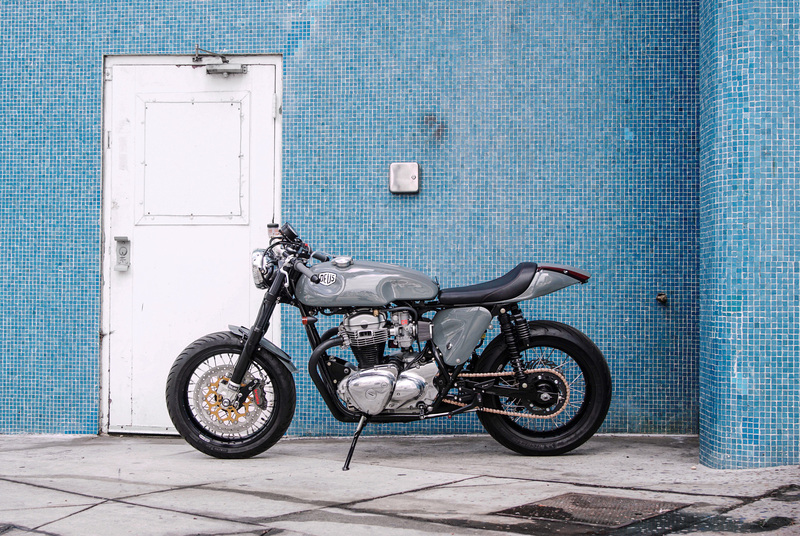 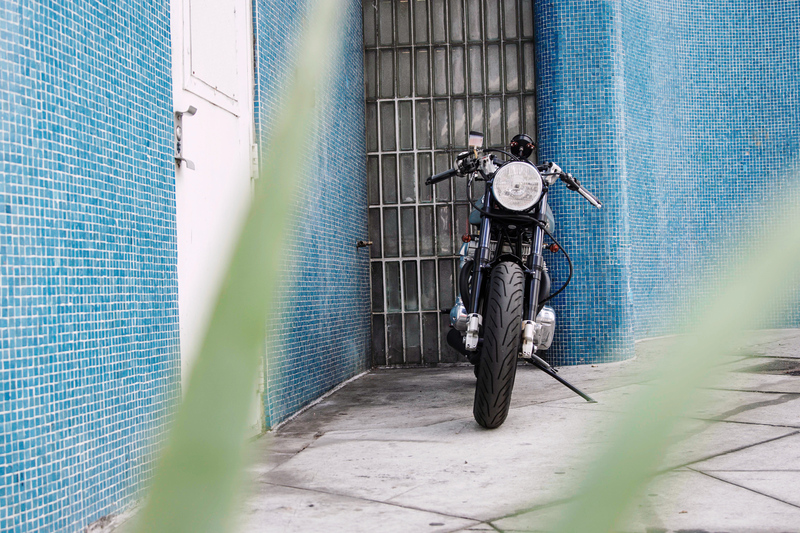 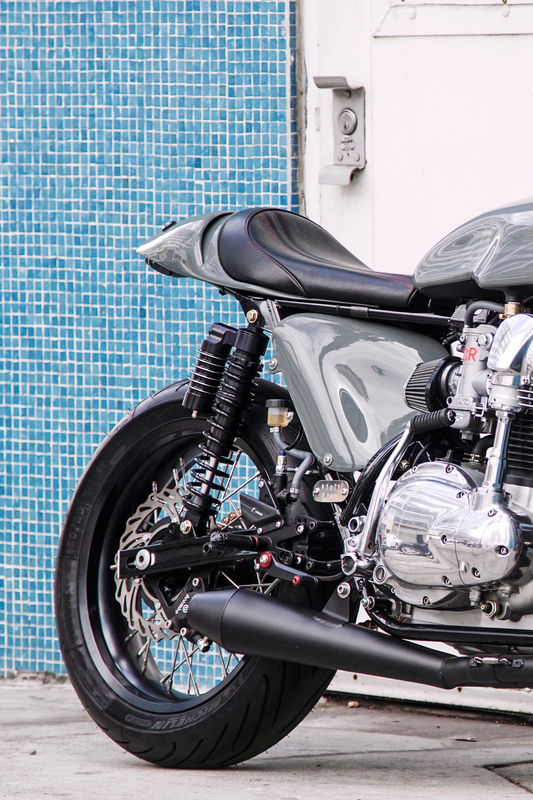 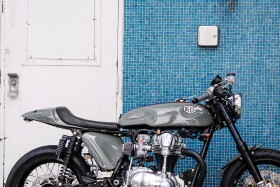 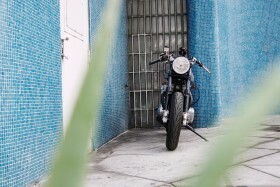 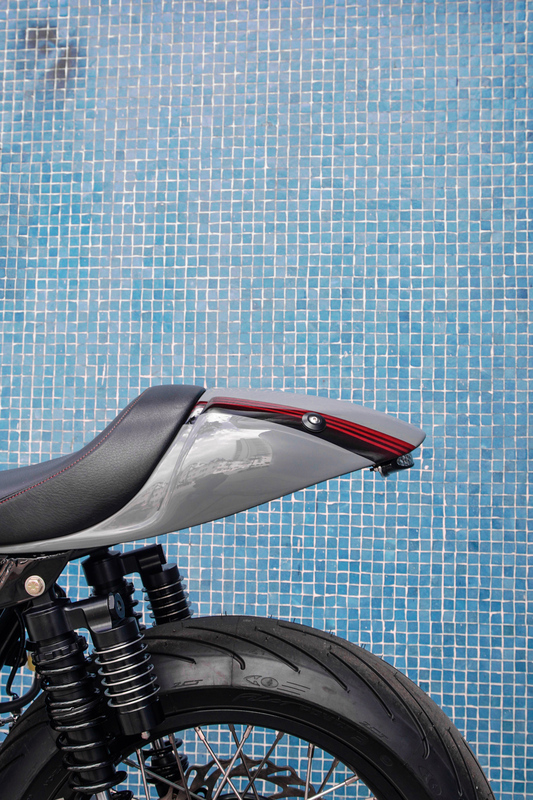 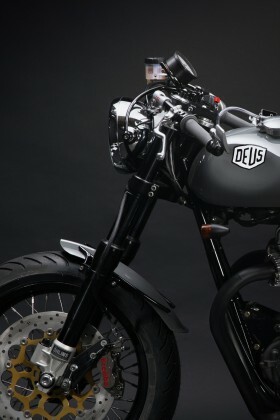 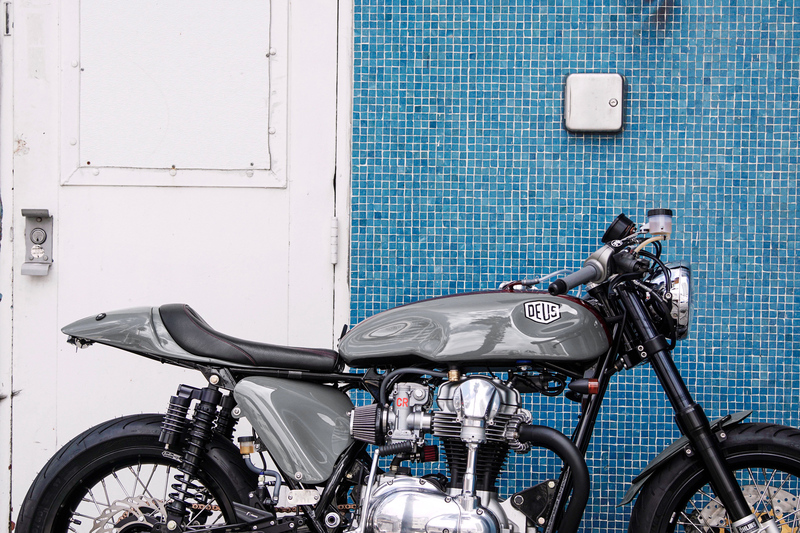 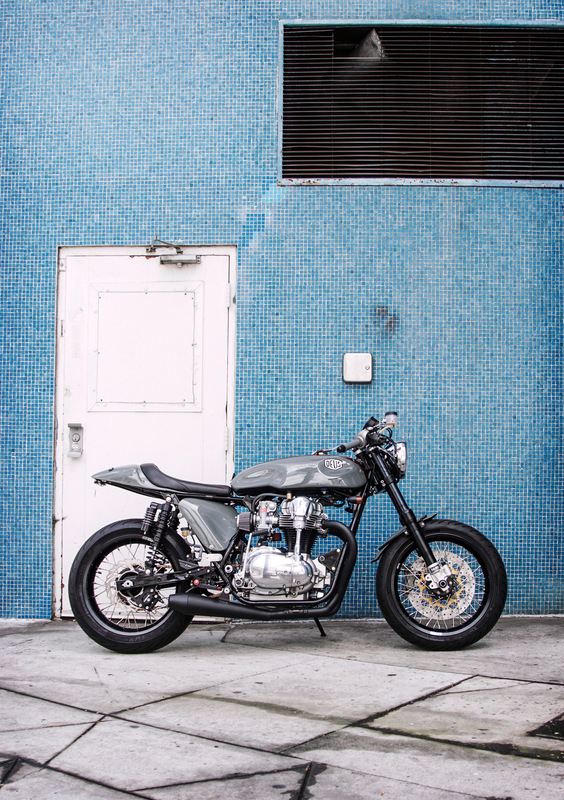 Darkly elegant and clean as a whistle, Deus Ex Machina is proud to introduce a frisky cafe racer from Woolie’s Workshop. 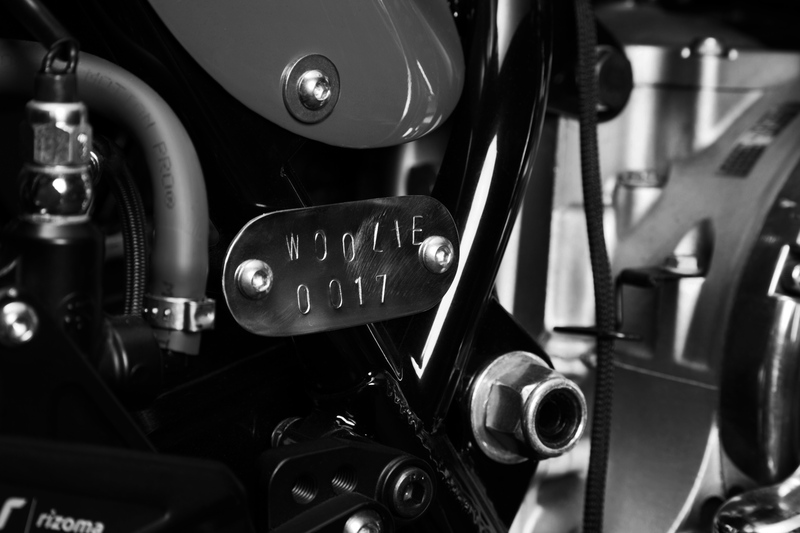 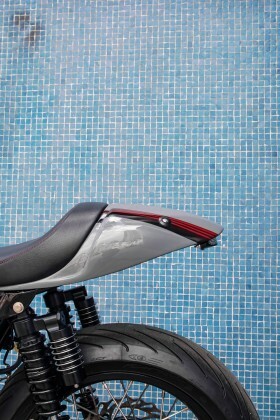 Stamped as the 17th bespoke creation to come from the Emporium Of Postmodern Activites in Venice, California, motorcycle design director Michael Woolaway is calling this one the “Iceie 800″ commissioned for a customer in northerly latitudes who requested the likeness of the Moto Grigio. 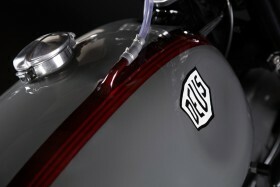 Sharing similar tank indents and the sleek silhouette of its predecessor, the bike is in fact very different in bone structure, ditching the stock chassis for a lightweight chromoly construction with more favorable weight distribution and Woolie’s tried-and-true scientific formulas like 24% steering head angle and 56.5” wheelbase. 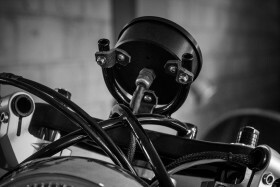 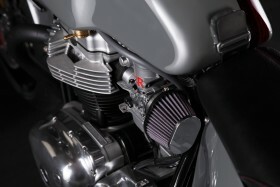 The Kawasaki W650 motor is punched out to 800cc with race-tuned valves and a ported head. Not just a pretty face, you might say — under her skirt the downstairs mixup is delightfully attuned to the finest details. 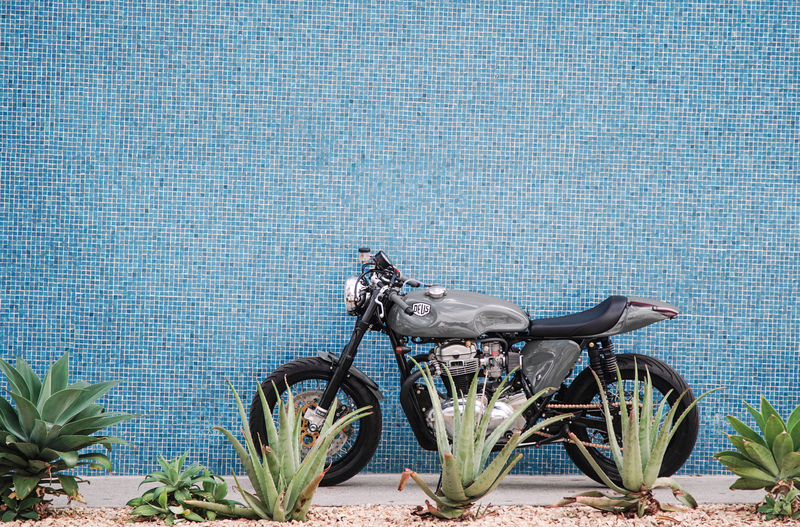 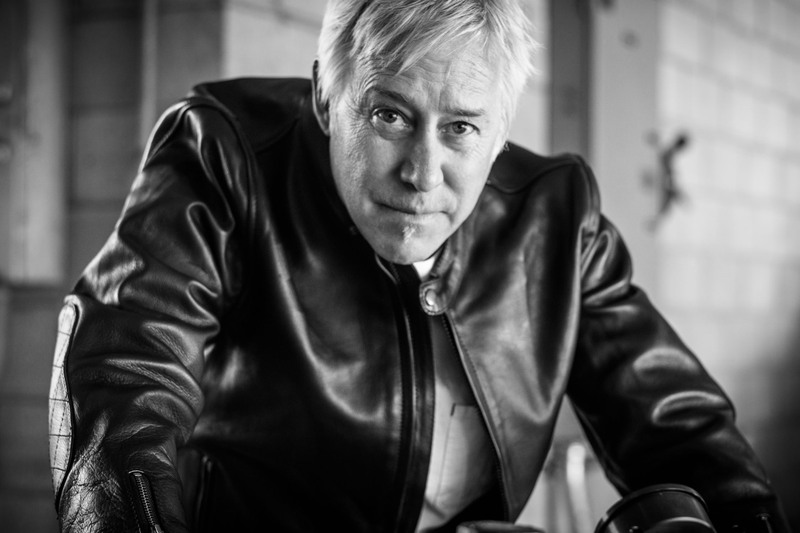 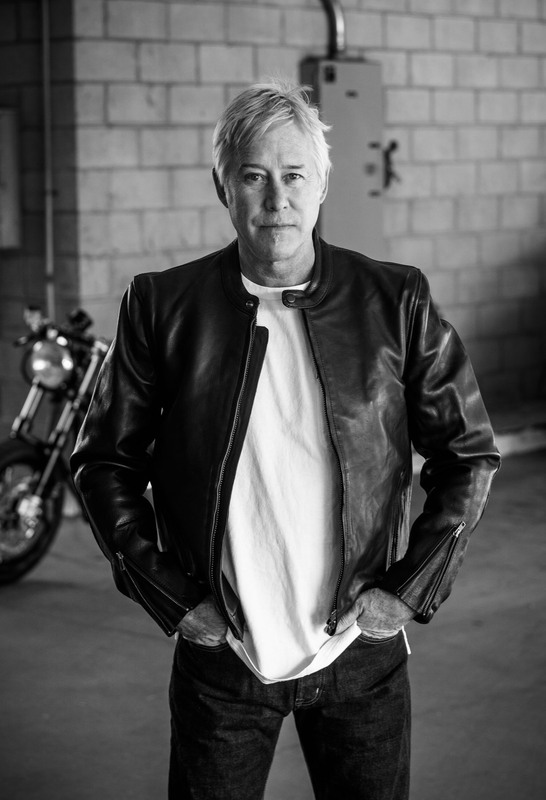 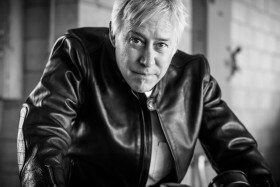 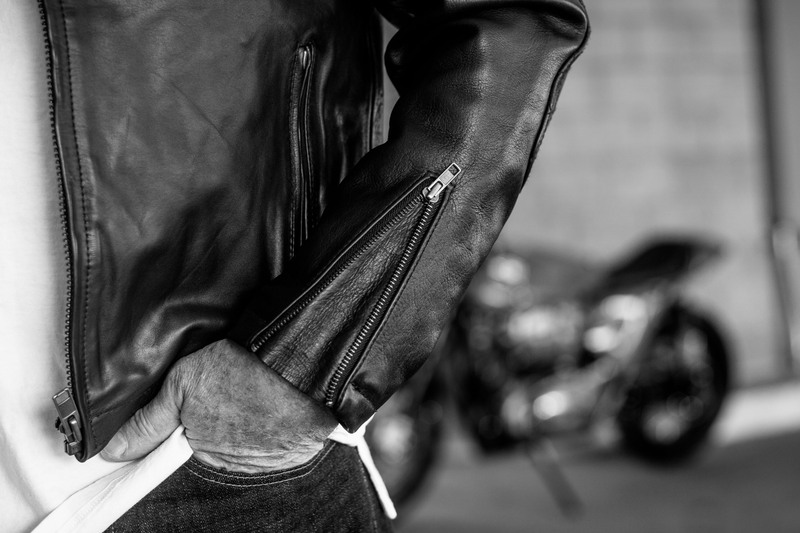 Woolie wears the Cafe leather jacket by Deus Ex Machina, available online and at your local Deus retailer.